PowerPoint has been getting a bit of a bad press of late, what with it being 20 years old and all that. We’ve had such a stunning response to our free Open Office Impress templates that we decided that it would be worth putting together a comparison of Impress and seeing where we think that it is actually better than PowerPoint. Here are a number of areas where we think that Impress is better than PowerPoint. For less than this you can get Open Office Impress, an iPod Nano and have enough left over for a modest meal. I know which one I would go for. 2. Export to Flash. If you want to put your slides online it is pretty hard going in PowerPoint. With Impress you can export your slides to Flash. Sure it is pretty basic and you lose all animation, but it is easy to put online. If you click on the example above you can see a simple file that I created in Impress and then converted to Flash. 3. Eyedropper tool. 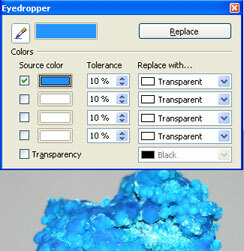 The eyedropper tool allows you to pick up a colour from an object or from a picture. You can do this in Photoshop, but it means opening up a new application. In Impress it is a tool within the application. 4. Visual indicator on the crop tool. 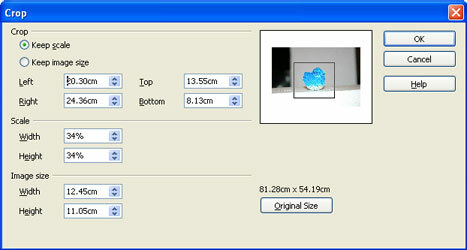 It is pretty easy to crop images from within Impress. You have a measurement of how much you are cropping and you can also see the area to be cropped. 5. You can import PowerPoint files and you can save as PowerPoint. While not a benefit over PowerPoint it makes it very easy to migrate from PowerPoint to Impress. Microsoft employed this trick in the early 90s when most users migrated from Lotus 1-2-3 to Excel. This comparison has been made with PowerPoint 2003 (which is the version that most people have). So what do you think? Do you think that Impress is better than PowerPoint? Please leave us your thoughts below. 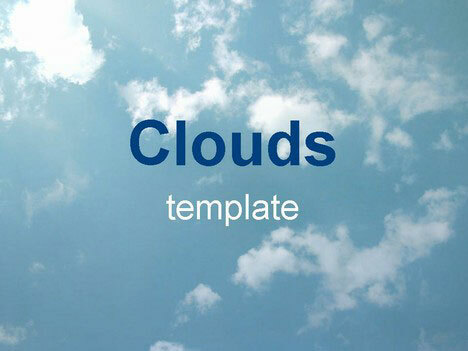 Impress is as good as powerpoint thogh it lacks templates and a wizard it is free. just downloaded open office and thinks it is as good as ms office. We prefer powerpoint- much easier to use! impress is good but powerpoint, especially 2003 & 2007, are far more better. impress is like powerpoint 97/2000. I work with some small, local nonprofits and Impress/Open Office makes a lot more sense than spending good money on MS Office that can be used to better purposes. Plus, the templates available for OO don’t look like the same, tired MS stock we’ve seen for years. It may be important to point that your presentation files can be accessed anytime with any other application, because OpenOffice.org Impress uses an open (non-proprietary) file format. PPT presentations depend on a proprietary application or in some other kind of import functionality (like OpenOffice.org Impress has). Free your mind, share information, use free software. I’ve just started using Impress after many years on powerpoint. The biggest hassle so far for me seems to be printing- I often end up printing individual pages when I want handouts with multiple slides, and in some cases both individual pages and handouts get printed and I have no idea why. But, as mentioend above, the price can’t be beat! Yes, I think impress is much better for all the reasons listed by the author. It’s a great program, I have used it hundreds of times and I love it. has became the same looking (and the same using method) of 2003. And how about when the 3.0 version compare with MS 2007? Did you think a free thing will become too “user-friendly” (and u have to learn again anything in 2007)? The OOo version 3.0 will not let you learn everything again . Powerpoint is faster, better looking, less prone to bugs and errors, and entirely more convenient than the pitiful excuse for a presentation program offered by OpenOffice. It is absolutely worth the price of buying it, especially if you’re planning on using advanced tools like custom animations. Heck, those animations look absolutely awful on Impress, even on very fast computers- how hard is it to make a picture move across a screen? And don’t even get me started on templates, list glitches and font issues. Absolutely awful experience if you try anything beyond the basics. I had to use OpenOffice for months before I finally got to switch over to Microsoft’s program, and I must say I’m glad I did. Open Office provides the core functionality that most people use in Microsoft Office. OK some would call the apps basic – but if that’s all you use why spend on the money on MS Office. I am not sure which versions are you comparing, but after trying to make a simple presentation in Impress, I am very disappointed. It constantly provides some bugs – either font changes itself, or it crashes or some background elements disappear. Even Google Docs is more stable. I am sure this can be a great application, but developers should think of improving stability and providing a better design. I like PowerPoint, because it does not crash and everything is intuitive (so, I don’t have to look up the documentation). But, I agree, that the price hurts :). I am using Open Office. I felt also happy being not to get a product which has no license fee. But if you are professional, then the time you waste on silly things in Impress is better spent of buying Power Point license. I am extremly frustrated by this Impress 3.0. I had a simple problem where I have every time changed the text colour to black. And as soon as I save the file. The colour is again transparent for the text for no reason. As a professional astroturfer I must say that Microsoft products are worth the money. 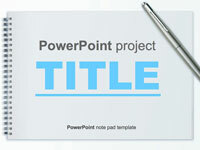 Power Point is much easier to use and is professional software. If you are not a professional and you are a communist then second-rate, hack OSS solutions may do a partially adequate job of serving you. And while you are using superior Microsoft Office software why not upgrade to Vista? It’s the most stable, secure and easy to use operating system in the world. Astroturfer I’m not sure that i would agree about Vista. I soldiered on with it for about 9 months and then downgraded to XP. It’s been great not to have crashes and for my PC to do what I want it to do. One of my friends was almost in tears when I went to his office. He had just had the Vista “blue screen of death” and his PC was down for the day. I’m not saying that OpenOffice is perfect, but it is at least free. It almost strikes me that we need to get a group of people together and form a fighting fund. If we could get a number of companies to contibute a small proportion of what they spend on PowerPoint licences we could hire a number of developers and make it into a world beating (but still free) product. 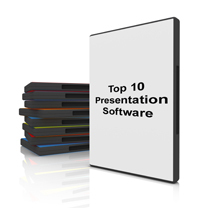 that is to say, powerpoint does not support quicktime and open office impress does, if you need high quality, low file size footage in your presentation then impress is by far and away the best possible choice. I teach college physics and use Impress for my slides because Open Office Math has a much faster interface than MS office equation editor. You can write any equation using just the keyboard. With MS office equation editor, you need to use the mouse as input device which is too slow to write anything but the simplest of equations. I agree that powerpoint is more reliable than impress which seems to be the weakest application in the OOO suite. However, if its the best tool for the job that you are looking for then you have to try Keynote. I am able to run virtually any windows app on my mac, it’s such a same that PC users can not access Mac apps and really appreciate some of their cool abilities. Although impress and whole bunch of OOo lacks a good look, it has improved much than earlier,however there are some glitches and OOo is less mature than powerpoint.however i use OOo instead of office as impress is free and got reduced hassles when doing work in legel way :D.if you like to see officem 2007 look then google for open office Renaissance which got some mods over the current OOo.but the good part of OOo is that i’m free of additional software cost which will sum up about $500 ~ just for OS and office package!!! If you are only getting PowerPoint 2003 or less, DON’T BOTHER!!!! Get OpenOffice.org FOR FREE!!! No trials, nagging popup messages, OR ANYTHING. A great piece of Open source freeware. BUT if you are considering getting Powerpoint 2007, it is WORTH paying the money for all the MORE UPDATED tools you get! ALSO COMES WITH FONTS YOU NORMALLY HAVE TO PAY FOR. And don’t forget the AMAZING clipart, photos, animations, .etc. FOR OPEN OFFICE: I can’t belive this program is free for lots of high-quality programs that other people think you’ve payed for. AGAINST OPEN OFFICE: Not enough themes or clipart. Gradiants can be “liney” and “pixellated. FOR POWERPOINT: One think I absolutely LOVE about PowerPoint is the “Set transparency color” feature. If you get an image off Google that has a white background, it can look awful if you use a background color or picture, but if you use the tool, it makes it looks amazing. AGAINST POWERPOINT; When I first got PowerPoint, I was used to Powerpoint ’03 and OpenOffice.org, I found the new menu system a little fustrating, trying to find the correct tool, but after a while you get used to it! ALSO THE PRICE “EEEEEKK!”. I got mine discounted anyway! yay! So for the basic features DOWNLOAD OPENOFFICE, for more professional presentations GET POWERPOINT!! Right, well… I have a PC and also a laptop, and the PC has the Microsoft programms installed. I wanted to get all the Microsoft programming for the laptop but within the boundaries of my budget it was something I could not afford, and I found myself settled with a laptop without a CD drive. I can, therefore, obtain none of these programs. OpenOffice was the only alternative without becoming an illegal file-sharer, and I chose OpenOffice. I must say, it is useful in its own right- yes, Microsoft is superior- but the no-pricetag attachment is very attractive indeed. Say what you will, but OpenOffice is a charming little program. And in comparison to Flynote, the other competitor of Word and the OpenOffice equivalent, OpenOffice wins each time. I hope this helps. Oh, and another thing… Microsoft’s own free alternative, Microsoft works, offers only a viewer, not a creator, for powerpoints. Another point in favour of OpenOffice. I have Works on my laptop freely to use, but I prefer making my own powerpoints, not watching somebody else’s. I’ll go now, promise! For everyone saying PPT is better because it has more animations… I am very, very glad I have never sat through one of your presentations. Animations are the bane of professional presentations (well, along with clashing colours and cluttered slides). 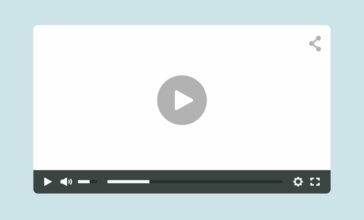 Just Say No to powerpoint animations! Also, for those saying ‘not enough themes’, there are lots available to download online. I have found this page because I am struggling to find a means of storing individual PPT slides in a database – to record when and where I have used them and provide a quick way to select a bunch of slides tailored to a specific talk. Is it possible to do this with Impress / Base? The article is stupid. Not even unbias in presenting the pros and cons of Microsoft and Open Office. Definitely, Microsoft is better than OO. The article is not even worth reading. I’m a professional presentation skills trainer and designer of slides…. in that context this is a bit of a null-question, because from the point of view of a professional, Keynote (Mac) knocks them both into a cocked hat. That said, I’d go for Impress over Powerpoint – unless you’re so used to the latter that you can’t learn a new system. The animation issue is a bit of a problem sometimes, but only very (very!) rarely – the things that Powerpoint can do that Impress can’t should be done in a professional presentation… simple as that! I am an FLOSS user and advocate but I advocate FLOSS for what it is: Ethically better, practically better eventhough it is not always functionally better. I always have a problem when people compare FLOSS products to proprietary products in proprietary terms. Using proprietary values. Feature by feature? Impress may be better at some, PP may be better at some others. – It is FREE (freedom) so you are not locked to a vendor. – If your company needs a feature not currently implemented, you can hire someone to implement it for you. – You are free to, if inclined, study the source code, improve it and/or use it in other products. I realize I’m commenting on an older article, but I just discovered Prezi for presentations (online at prezi.com) and really like it. You have to think a little differently, but it really brings life to presentations that the old “slide” type software does not. It has limitations, but it’s worth checking out. transparencies get preserved when exporting as pdf! A discussion of mentalities, I assume. I for one am a big fan of open-source. I like the immediate response to problems and the high attention towards consumer needs. But in this case, I hate to say it, I’m on the commercial side. As a student I am forced to work a lot with presentation programs. I tried it with OpenOffice Impress twice – and I won’t try it again, because both times it was a disaster. The first time I had to do a presentation on a given Windows computer – but hey: Impress can export ppt, can’t it? No it CAN’T! The presentation looked awful. Next time I was a little smarter and simply presented an exported PDF file. Animations… who needs ’em?? But now I finally had the opportunity to present from I own Linux machine – no need to export anything, simply use the very machine you created the presentation with. And it sucked again – turning from one slide to the next took ages. At the end of the presentation I was asked by the audience to skip back to a particular slide and I couldn’t – simply because it wouldn’t change the slides in time! So please tell me again, where I need color pickup tools or an export to flash or the opportunity to crop pictures??? I need a presentation tool that works. And hell, Powerpoint does. Right now, OpenOffice doesn’t – at least not in the way I’d need it to. I know no-one earns money from OpenOffice and I reported the bugs mentioned earlier in order to help with the improvement of the program. The debate should not not about which is best, but about what it is you want to do, who will be the end user and if cost equals creativity? Free nearly always beats fee. Depending on who will be using or viewing the presentation Office gives more option. Prezi is better than using Plex (free add on from Microsoft is an alternative to Prezi). Impress is good if one uses imagination, innovation and creativity, which is just the same as if one used Powerpoint. There are differences but they are usually to do with the familiarity one has with ones various prefrences for the presentation software of choice. I know OO Impress, but what’s powerpoint? Seriously, as a Linux user I have no way of running it. I wonder if this comparison is getting out of date as I use Impress to view/edit PPT and PPTX files with no problems for all the companies I work with. I’m using Impress 3.2 (Oracle supported, of course). Why would I pay for something when the free one works fine. I guess it’s the same reason someone buys a porsche when the speed limit is 70mph. I’m referring to the status symbol aspect. Just use wine. Office 2007 works like a breeze on ubuntu, but only if you want it. Powerpoint is way better than Impress, but it doesn’t come for free. If you are a good designer, and like your custom made slides, then IMpress is the way to go. But for all the lazy bums out there, who want the pre made templates, which look awesome from the word go, Powerpoint is the app to use. Everybody keeps complaining about impress and stuff just because they’re microsoft crazies and with futile mind like most visual frikin stuff of microsoft than sotweare freedon and its real utility of any software…. Like opensourse projects, Ive used both of them. You can’t crop as effectively with Impress. You get a microscopic view of what you are cropping. Consequently, you are guessing where you are actually cropping. With powerpoint you get a full scale view and it is easy to drag the crop lines and know what you are cropping. I can’t help point out that while noone makes money directly from the Oo.org brand, every commercial user – ie. your employer – uses the software precisely to that end – an incentive to then support the project with funding or other contributions! What I mean is that ultimately there is no excuse for open-source software to be inferior to it’s proprietary rivals – it’s just a matter of time before people realise money is better spent on creative collaborations than opportunistic monopolies. Having spent the last 2 or 3 weeks at work doing PowerPoint stuff, suddenly very late last evening I had to do something as an emergency at home for my daughter’s school work. I’m so familiar with PP and the OO Impress seemed so strange, like being fluent in Spanish then having to read/translate something that’s Portuguese. Have to admit I prefer PP because I’m familiar with it, but of course at home the FREE stuff is the bonus. I think Impress could improve by becoming more like PP, would make it easier to use for those familiar with PP and for kids like my daughter, who will now learn Impress when I download the OO suite to her computer, one day when she goes to work (she’s not yet 12!) and has to use PP it will be all different. I’ve been a fan of Powerpoint since 1997. But not happy with changes after 07. I took to the original without basically any learning curve so a duck to water so to speak. I’m being forced to join the ranks of microsoft pay yearly fee plans and not happy camper. Tried others who have already been forced into W7 and above’s Powerpoint programs they are nothing like the USER friendly versions of lore. I also use Powerpoint mainly as my graphics program printing from it for numerous purposes including photo prints. Can use borderless printers without a hitch even if the print exceeds the page size I get exactly what I am expecting. I am nervoud to try any other program including Impress as every time someone insists It’s just as intuitive it’s not and I end up spending 5 hours or more on a project that used to take me 15 to 30 minutes nailing. So I cling to XP as a back up not connected to the net putter with my sweet Powerpoint as my main go to program. Yes the day will come I have to grow up and adapt to the cruel world out there. But for a few sweet wonderful years I was in bliss and in love with Powerpoint. Impress bring it on I challenge you to update and make it as wonderful as the 07 PP years and while you are at it bring a few extra bells and whistles I’ll be glad to test it.